Next, please tell me whether you have a favorable or unfavorable opinion of each of the following parties. How about the Democratic Party? 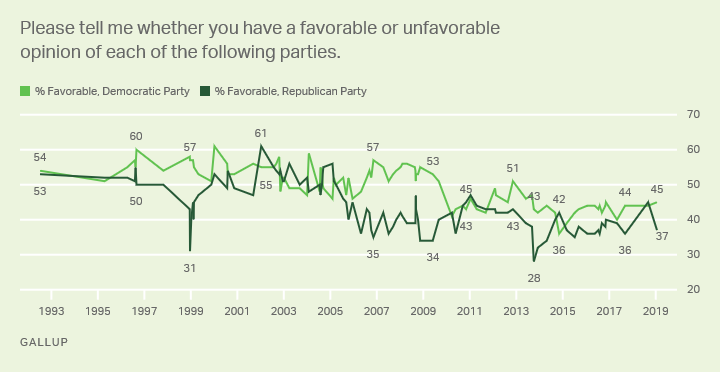 Next, please tell me whether you have a favorable or unfavorable opinion of each of the following parties. How about the Republican Party? If you had to choose, would you rather see the Democratic Party -- [ROTATED: become more liberal (or) become more moderate]? If you had to choose, would you rather see the Republican Party -- [ROTATED: become more conservative (or) become more moderate]? 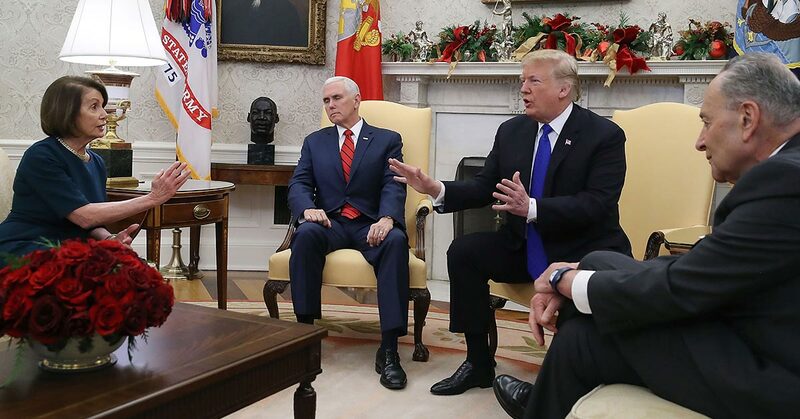 Looking ahead for the next few years, which political party do you think will do a better job of protecting the country from international terrorism and military threats -- the Republican Party or the Democratic Party? Looking ahead for the next few years, which political party do you think will do a better job of keeping the country prosperous -- the Republican Party or the Democratic Party? Do you think the Democratic Party or Republican Party would do a better job of dealing with -- [RANDOM ORDER]? Do you think there are important differences between Republicans and Democrats on issues that matter to you, or do you think the two parties are pretty much the same? In general, do you think the political views of [ROTATED: the Republican Party/the Democratic Party] are too conservative, too liberal or about right? Do you think the -- [ROTATED: Republican Party (or the) Democratic Party] -- cares more about the needs of people like you? Do you think the -- [ROTATED: Republican Party (or the) Democratic Party] -- better shares your values? Now, we'd like to ask you about your impressions of the two major political parties. First of all, what comes to mind when you think of -- the Republican Party? Now, we'd like to ask you about your impressions of the two major political parties. First of all, what comes to mind when you think of -- the Democratic Party? Just your best guess, which do think is the better way for the Republican Party to succeed in future elections -- [ROTATED: to do a better job of giving reasons why people should favor its conservative views on political issues (or) to change the party's positions on certain issues to make them more appealing to political moderates]? How would you rate the job the [Republican / Democratic] Party is doing on each of the following -- [ROTATED: very good, good, poor (or) very poor]. How about -- Dealing with corruption in government? How would you rate the job the [Republican/Democratic] Party is doing on each of the following -- [ROTATED: very good, good, poor (or) very poor]. How about -- Staying true to core [Republican/Democratic] values? How would you rate the job the [Republican/Democratic] Party is doing on each of the following -- [ROTATED: very good, good, poor (or) very poor]. How about -- Offering solutions to the most important issues facing the nation? How would you rate the job the [Republican/Democratic] Party is doing on each of the following -- [ROTATED: very good, good, poor (or) very poor]. How about -- Working with the [Democrats/Republicans] in Washington to get things done? How would you rate the job the [Republican/Democratic] Party is doing on each of the following -- [ROTATED: very good, good, poor (or) very poor]. How about -- Putting the country's interests ahead of their own political interests? Do you think [ROTATED: the Republican Party/the Democratic Party] does -- or does not -- have a clear plan for solving the country's problems? 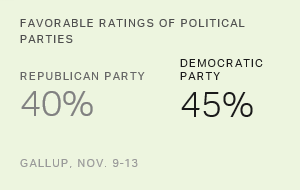 After the election, Americans continue to have a slightly more favorable view of the Democratic Party (45%) than of the Republican Party (40%).